Easter will soon be here and now is the perfect time to think ahead to the types of desserts that you want to serve your family. 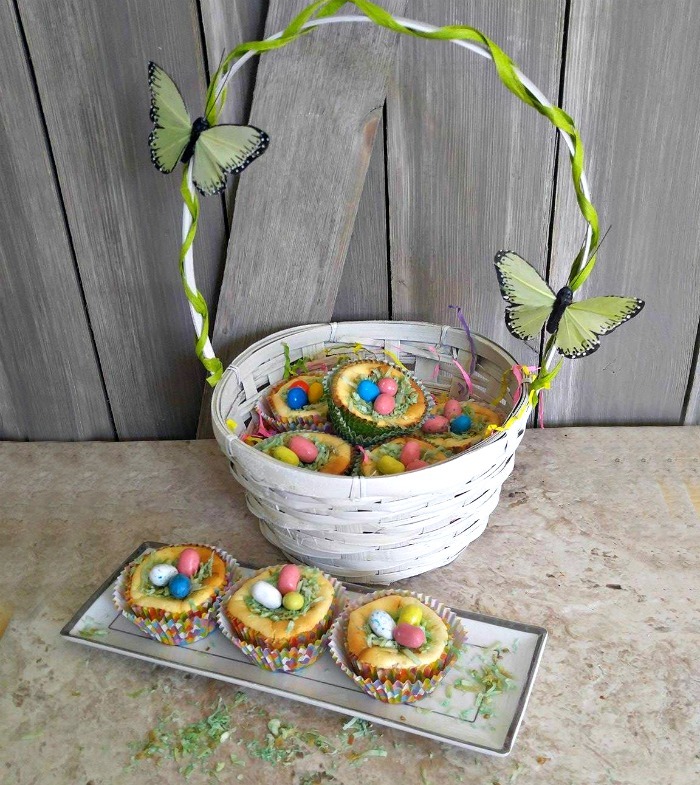 These Easter Egg Nest Cheesecakes are easy to make and they will be the hit of your party table. We love cheesecake recipes in our house, and also have a fondness for speckled Easter eggs, so I know my family will love them. Easy recipes are perfect for the busy days as we get closer to Easter. There seems to be a round of things to do, and getting a pretty and fun dessert on your table that is REALLY easy to make is a treat in more ways than one. 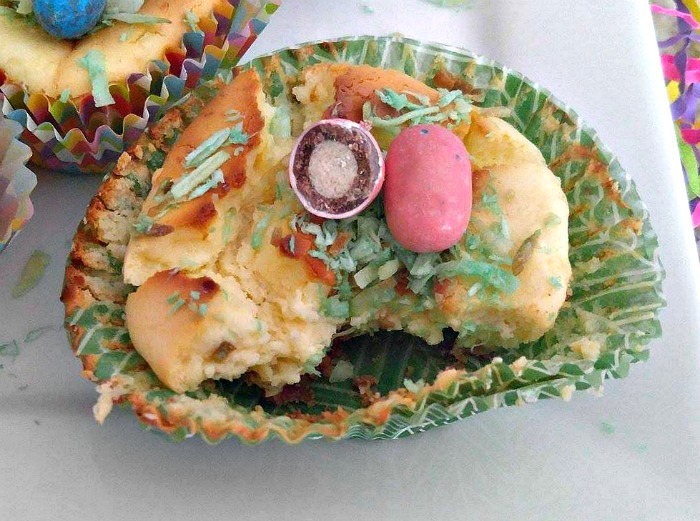 Easter Egg Nest Cheesecakes are fun to make! (This post contains affiliate links for your baking experience.) 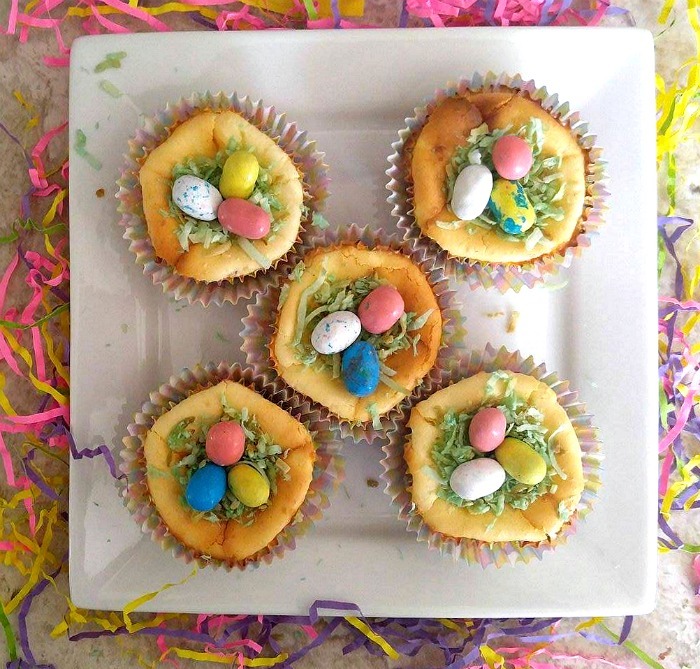 I used crushed pretzels for the base of these Easter Egg Nest Cheesecakes. It adds a bit of a salty thing going on in the dessert and compliments the creaminess of the cheesecake nicely. Just be sure you pulse the mixture until it is a fine consistency. Graham crackers will work too, but the crust will be sweeter. The cheesecake filling has a creamy, sweet taste. I used an ice cream scoop to fill the muffin cups. I filled them quite full, since I wanted the filling to puff up and crack for a nest like base. 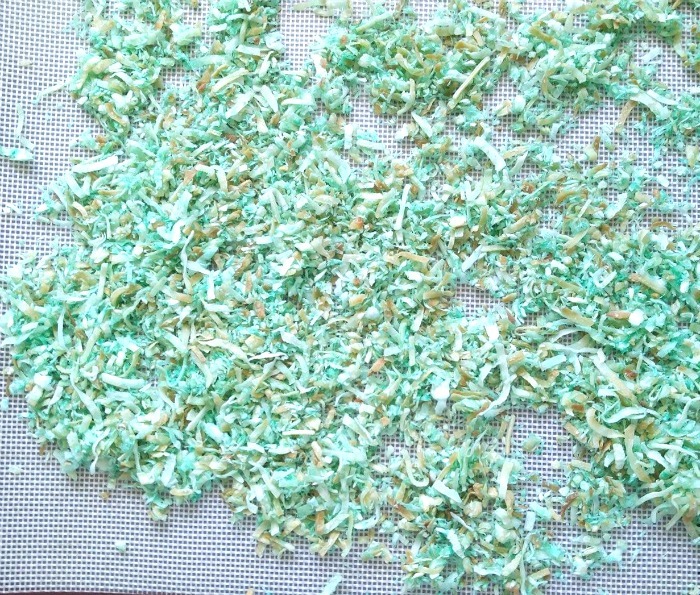 The grass topping is made with some flaked coconut and green food coloring. I placed it on a silicone baking mat to dry out after coloring it. 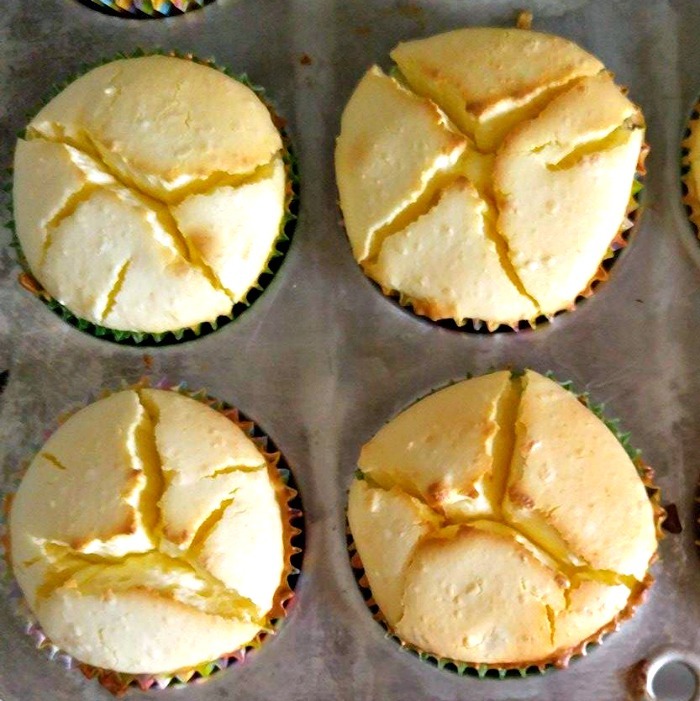 These baked cheesecakes have a tendency to sink a little after cooking and I want that effect. .It gives me an indentation that is perfect for the nests and the crack makes it easy to push the cavity down a bit. 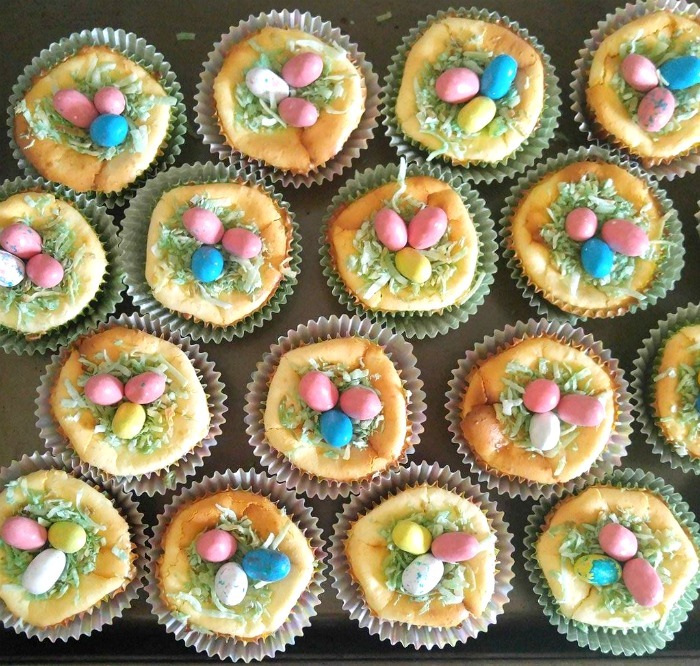 Time to decorate the Easter Egg Nest Cheesecakes. The decorating is a cinch! 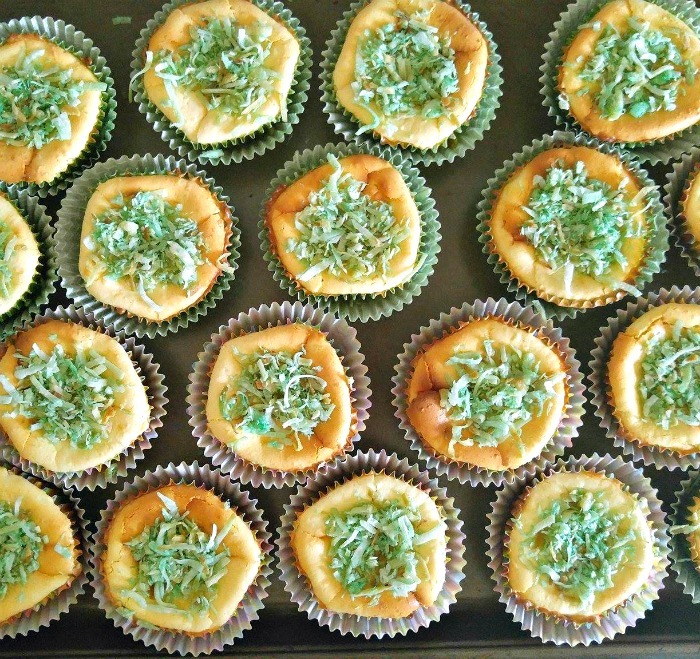 Add about a tablespoon of the tinted green coconut in the center of each cheesecake. I pressed down a little on the ones that hadn’t sunk too much. You will want little nest shape indentations before you add your Robin’s eggs. I added 3 Robin’s eggs in each of the nests. They sat fairly well, but if you are going to be moving them to someone else’s house for dinner, you could use a drop of frosting under each egg to make sure they stayed in place. Tada!! Easter Baskets make a perfect way to gift them. Look how cute the Robin’s eggs look in the little green nests. These won’t last long on my dessert table, will they? If you are taking them to someone else’s house for Easter, put them into a decorated Easter Basket! Time to take a bite. After all, I have to test them to make sure the recipe is right, don’t I? 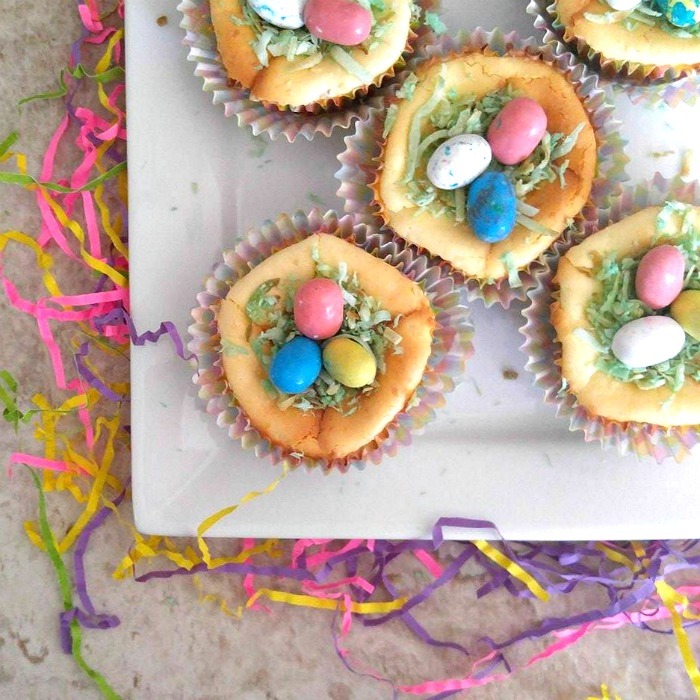 These Easter Egg Nest Cheesecakes are yummy, creamy, and salty bites of Easter goodness. One would really think the Easter bunny had made a trip to our house! For more Easter goodies, be sure to visit my Easter Food and Decor board on Pinterest. Preheat the oven to 325 º F.
Place the pretzels, 2 tbsp of sugar and the butter is a food processor and pulse until it makes a very fine crumb texture. 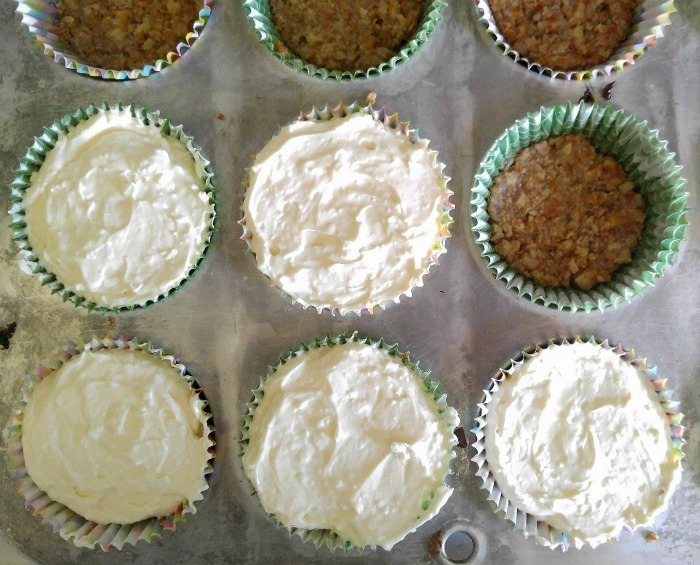 Press the mixture into the bottom of 20 paper lined muffin cups. In the bowl of a stand mixer, beat the cream cheese, vanilla extract and 3/4 cup of sugar until well blended. Add in the eggs, one at a time. Mix on low until just blended. Spoon the filling over the crusts in the muffin cups. 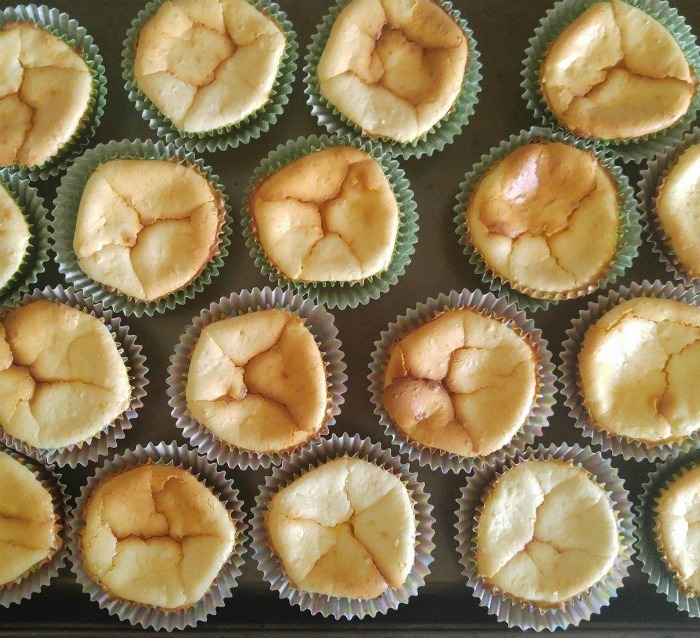 Bake in the preheated oven for 25-30 minutes until the centers start to brown and puff up. The tops will also start to crack since they are filled so full. This is fine. This gives a nest appearance to the top for the grass and eggs. Cool and then place in the fridge for 30 minutes. Place the coconut in a zip lock baggie. Dissolve a few drops of food coloring in a teaspoon of water. Pour over the coconut, seal and shake until it is the color you want. You can make it all one color, or divide the coconut and make several colors. Place the tinted coconut on the top of the mini cheesecakes to make a “nest” and add a few of your favorite mini Easter eggs.